When it comes to making vegan muffins, egg replacer, a non-dairy milk substitute, and bananas are your friends. A few of these recipes also call for applesauce, which can reduce the amount of oil needed, and help keep your baked muffins lower in fat. There are no real limitations, so stock up on cranberries, walnuts, vegan chocolate chips or anything you want to add to your vegan muffins. 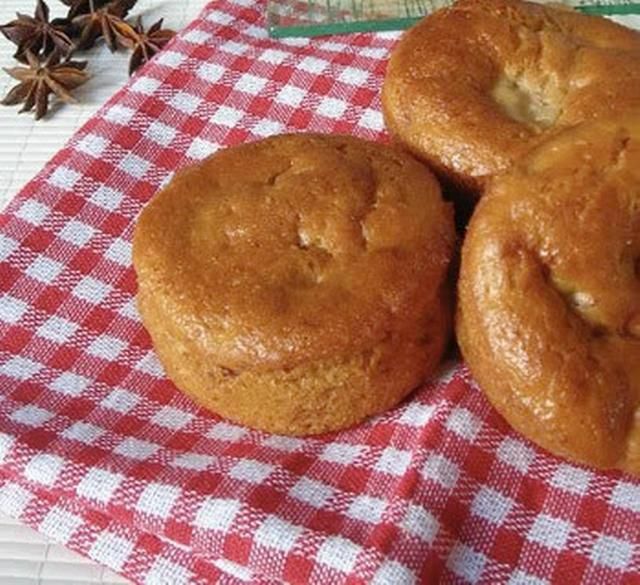 These fat-free vegan muffins are made from apples and bananas, so they have a great naturally sweet flavor and are kept moist with apple juice instead of oil or margarine. Lots of people have tested this recipe and left positive reviews, even when using half whole wheat flour, and a few people added chopped walnuts or blueberries for variation. Banana muffins are super easy to veganize because the bananas can replace the moistness of the eggs, and are a good binder as well. In fact, you may have already noticed that plenty of vegan muffin recipes call for bananas anyways. If you've got leftover sweet potatoes from Thanksgiving (or just because), then making sweet potato muffins is a great way to use them all up. No collection of vegan muffin recipes would be complete without a vegan lemon poppyseed muffin recipe. This one calls for lemon zest, lemon juice, soy milk and poppy seeds and is nothing short of absolutely perfect. Vegans avoiding refined sugar will want to use maple syrup, agave nectar or even stevia to lightly sweeten a batch of homemade muffins. Pick up some cornmeal at the grocery store and keep it on hand to whip up these delicious vegan cornbread-like muffins any time. These vegan corn muffins are made from cornmeal, flour, soy milk, baking powder and egg replacer with a little vegan margarine. Add some blueberries or cranberries for a colorful finish for the holidays. Vegan cookies? Check. Vegan cakes? Check. Vegan pies and vegan scones? Check and check. With a little vegan margarine, a good egg replacer and just about any non-dairy milk substitute, there's really nothing you can't replicate on a vegan diet. What Are Some Good Non-Dairy Vegan Substitutes for Milk?